With a compact design that makes a big impact, the Space Saving Drying Rack will hold cups, bottles, and all their parts without cluttering the bench top. 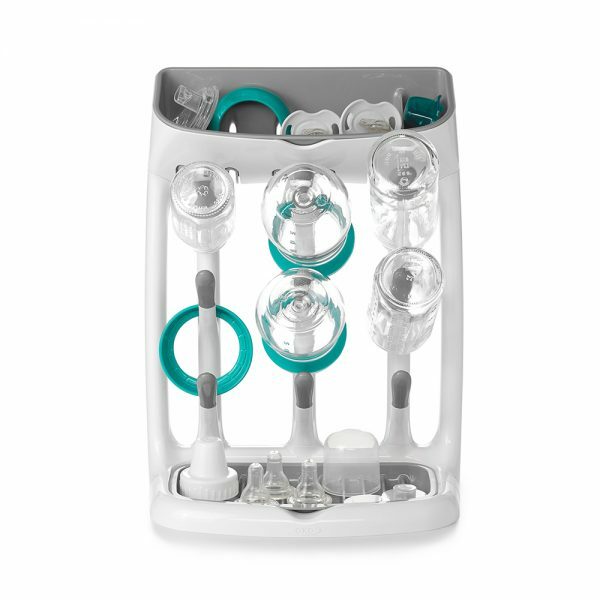 The angled pegs hold cups and bottles at just the right angle for thorough drying, while the top and base are perfect for drying small parts like valves, or even pacifiers. 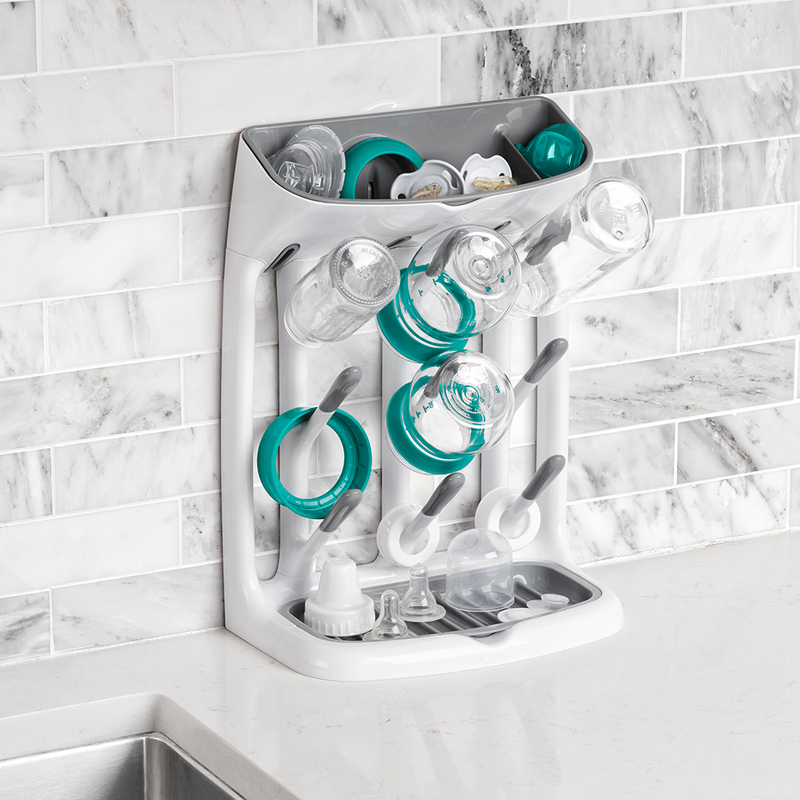 The Drying Rack fits neatly under cabinets, so it can be tucked out of the way against the wall. 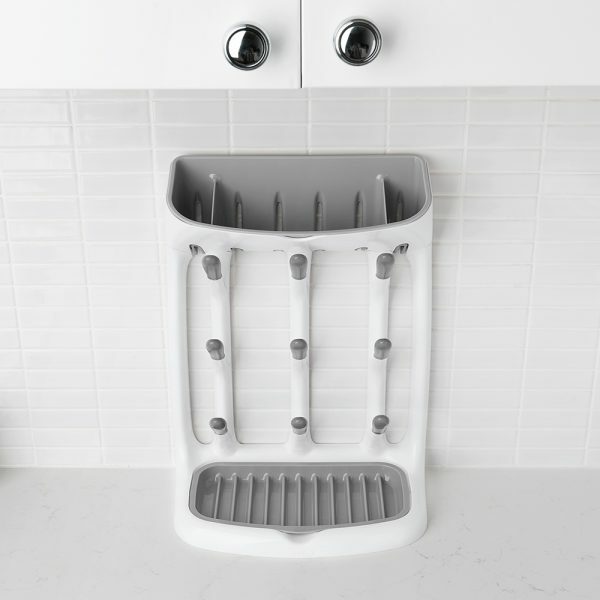 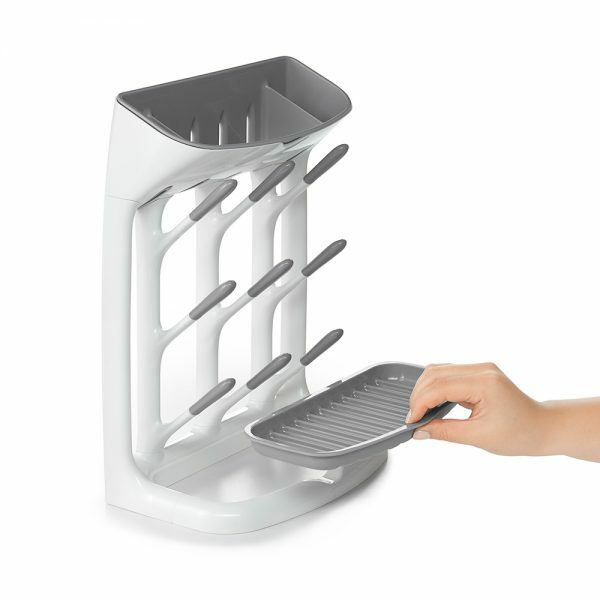 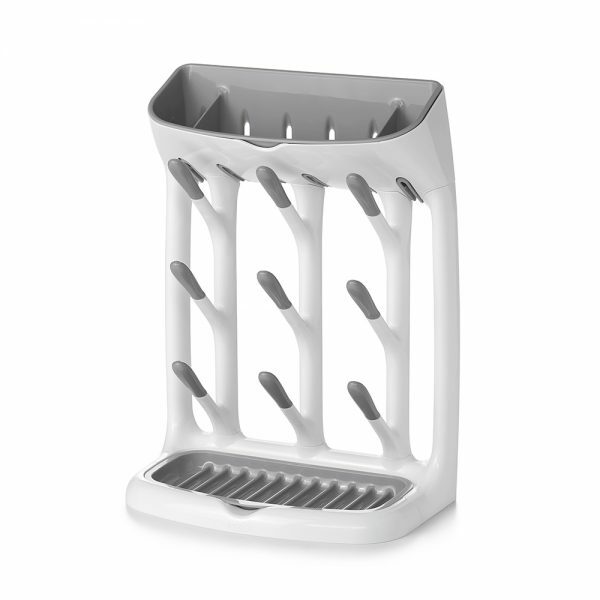 The base tray features ridges to keep lids and more elevated for quick drying, and both the base and top trays are removable for thorough cleaning.